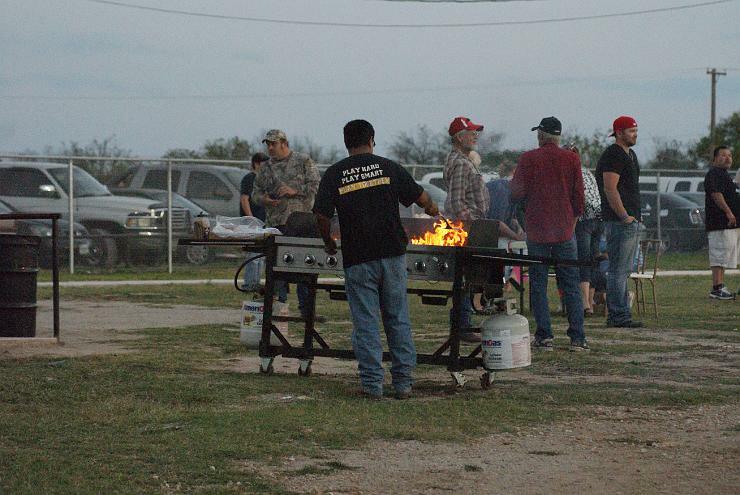 Santa Anna, TX – Hunters help local communities each deer season by donating deer to the Texas Hunters for the Hungry program. Last year, hunters donated 152,962 pounds of venison, resulting in more than 600,000 servings. 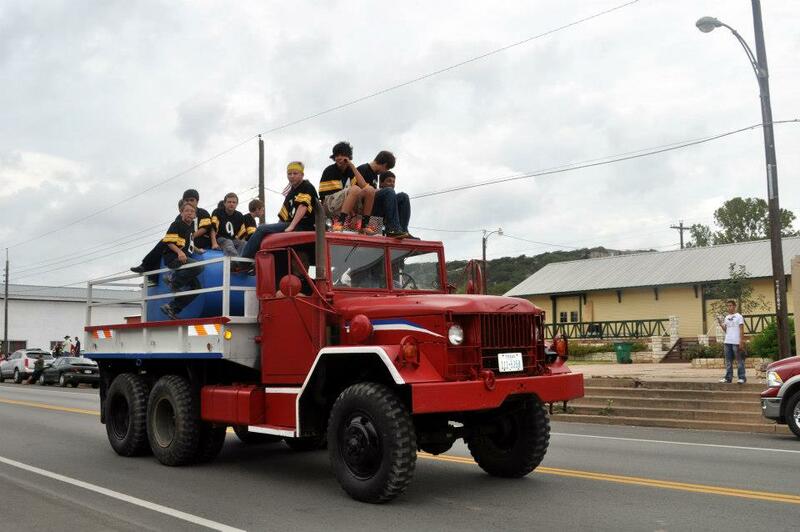 Of that, 15,500 pounds were donated in Coleman County alone. According to the U.S. Department of Agriculture, one out of every five households in Texas struggles to afford food. Food assistance agencies such as food banks, food pantries, soup kitchens, and shelters play an important role in helping families fill the nutrition gap. Obtaining adequate protein is often difficult for low income families and individuals. As a result, venison donations are a favorite with both food assistance providers and the clients they serve as it is low in fat and high in protein. If you are a hunter, consider adding Hunters for the Hungry to your check list as you prepare for deer season. It is easy to participate: locate a participating meat processor; drop off your tagged, legally harvested white-tail or mule deer; and pay a nominal fee to cover basic processing costs. A receipt is issued for tax purposes. The meat processor grinds the venison into burger for pick-up by a local food assistance provider. This season, Hunters for the Hungry is working with Santa Anna Wild Game Processing in Santa Anna to accept venison donations. To learn more about the program, visit www.tacaa.org/hunters-for-the-hungry or call (800) 992-9767, ext. 506. Hunters for the Hungry is a program of the Texas Association of Community Action Agencies, Inc. (TACAA). For more information about TACAA, visit www.tacaa.org. 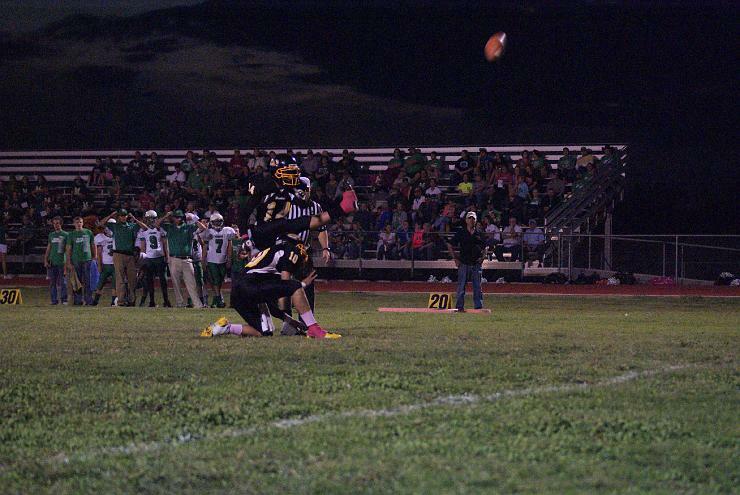 The 7-1 Santa Anna Mountaineers will take on the 5-2 Zephyr Bulldogs Friday October 26th at Mountaineer Stadium for week three in District in Six Man Division 1 Football. The Mountaineers are ranked 23rd in Division 1 (36th overall) and the Bulldogs are ranked 8th (12th overall) in Division 1. The Mountaineers are picked to lose by 42 points to the Bulldogs. The Mountaineers will need lots of support so head over to Mountaineer stadium and wear your Black and Gold! 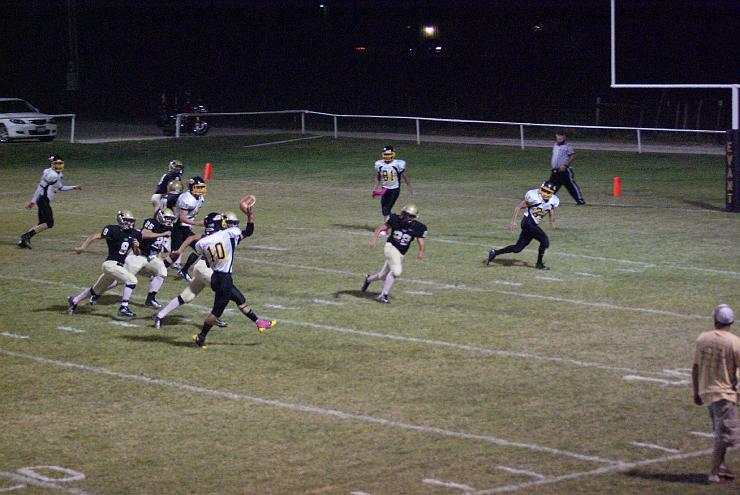 The Santa Anna Mountaineers Fell to the Rochelle Hornets last week by a score of 78-48. Twenty-four hours. That's the amount of time it took for someone to steal my Obama 2012 yard sign-- which was not in the public right-of-way but on my property. That makes the act a misdeamenor theft and subject to a $500 fine. It's not a prank. It's theft. And--more importantly-- it deprives me of my freedom of speech. Most everyone in Coleman County knows I am proud to call myself a Democrat. My wife and I keep our Texas Democrat bumper stickers year round. But in all my years as a Democrat, I have never seen the vitriolic, blatant hate shown toward my party that I have seen in the past three years. I am old enough to remember a time when Democrats and Republicans could have an honest difference of opinion and still have mutual respect. Evidently , for some-- the haters, that time is past. In all the years I have put up political signs on my property, this is the first time a thief has stolen one. I hope it is the last. p.s. I have more signs. 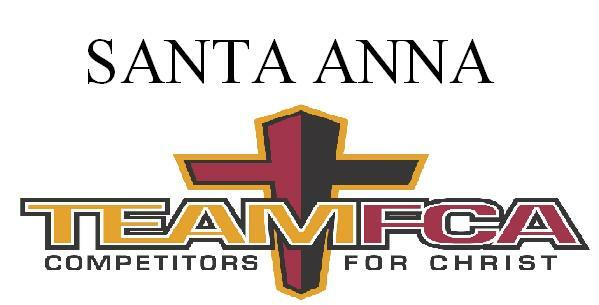 The Santa Anna Adventist church is sponsoring a Fall Festival at the Armory Park (the Santa Anna Community Park) on Sunday, November 4th, at 2:30 PM. There will be food, games, puppet shows, music and more! Lots of fun for the whole family!! So bring your lawn chairs, your (acoustic only) guitar/fiddle, etc. and get ready to have some FUN! Santa Anna ISD has received a Region 10 TLPG Grant which will allow us to deploy laptop devises to grade 4-6. There will be a parent orientation meeting at the Santa Anna ISD school library on Tuesday October 30th from 6-7:30 pm. Students in grades 4-6 and parents are requested to be there. Please contact Becky Loftin (325)348-3136 for information. 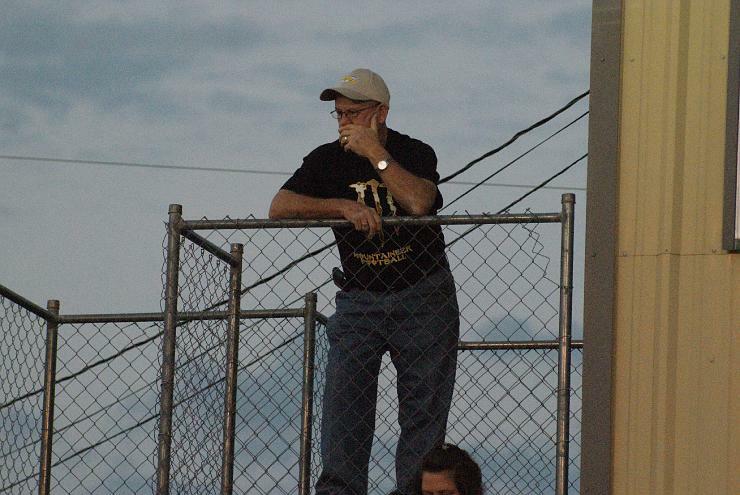 I thought that your news would be the best way to let friends and fellow classmates know that Doyle Lynn Wright, class of '69, is in Baylor Hospital in Dallas, recuperating from a kidney transplant. Lynn, who has been on dialysis for several years, received a kidney transplant Thursday, Oct 18th. He is doing well and he and his wife Jerry will move into a close-by apartment on Monday. They will be there about a month. 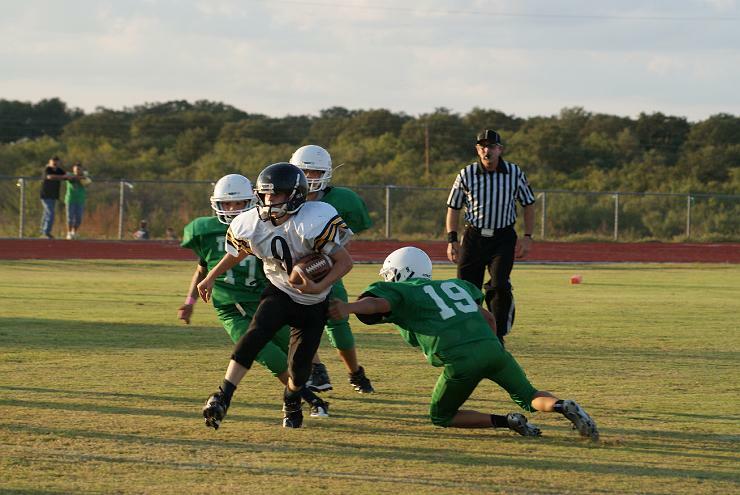 The Jr. High team continues to improve and getter better as each week passes. 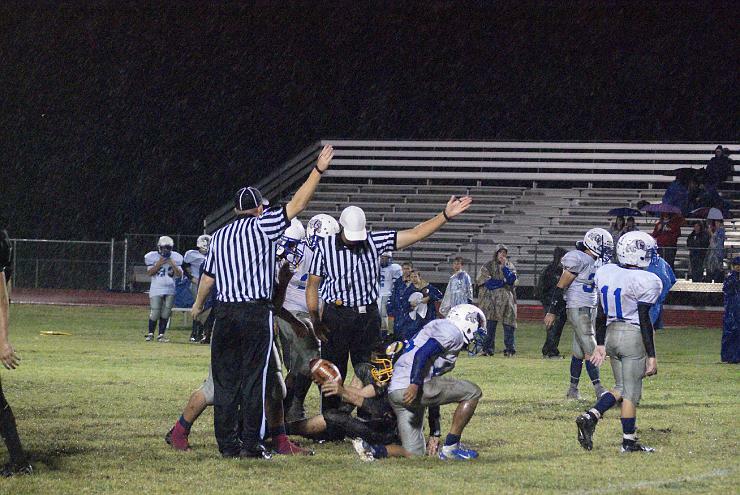 The Mountaineer Jr. High team defeated Rochelle this past Thursday. The Mountaineers scored on offense and defense. 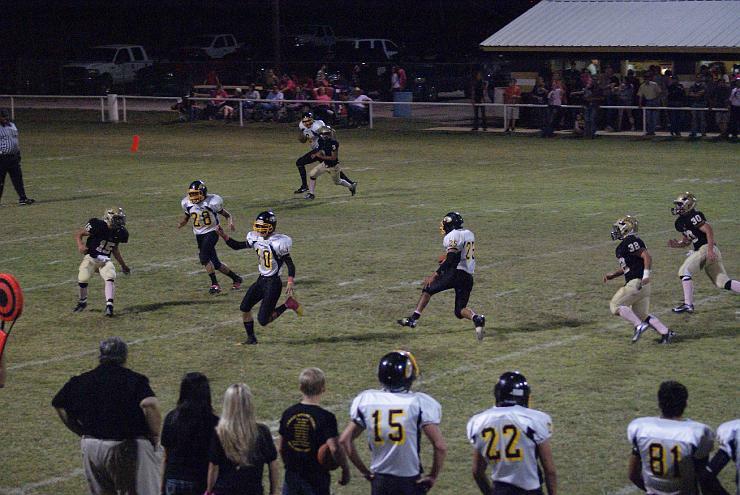 The Mountaineers were able to pass and run the ball as well. 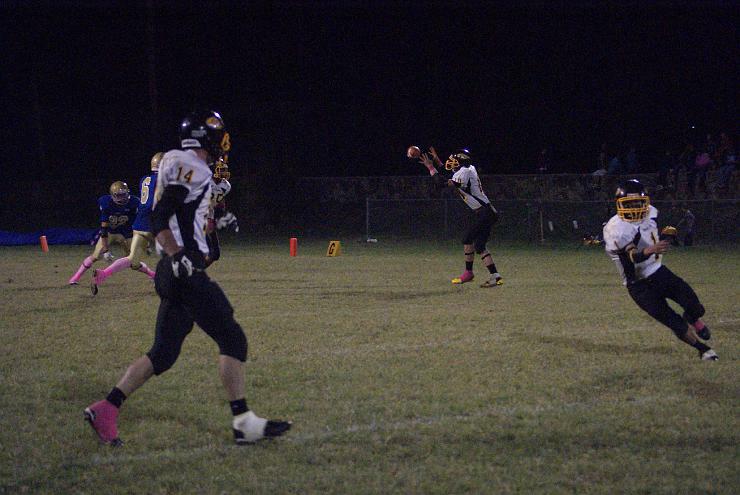 Jacob Herrod, Adrew Siller, and Kolbi Escorbar all scored touchdowns for the Mountaineers as they remain undefeated for the year. 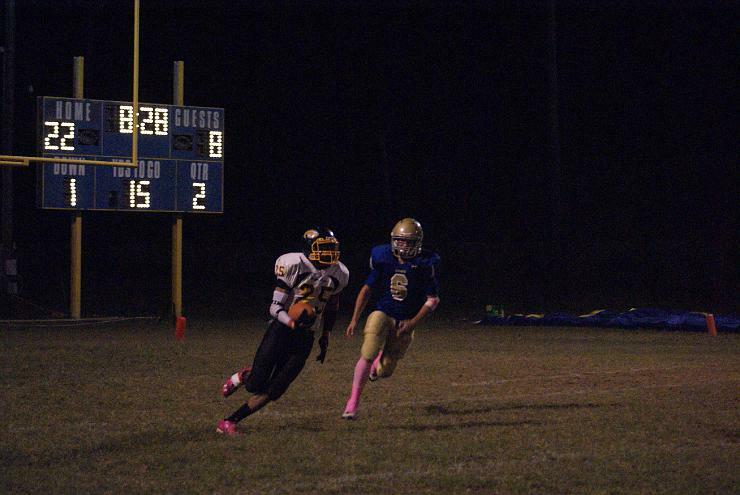 This week, the Mountaineers will face Zephyr in Zephyr. Game is scheduled for 6:00pm. The Junior Varsity team was down the entire game to a very touch and physical Rochelle team. The Mountaineers were without their two starting running backs and had to make adjustments. Players were playing in positions they had never played before and some mistakes were made. In the 2nd half the Mountaineers showed that if they Never Give Up, great things happen. With about 4 minutes left in the game, the Mountaineers marched down the field and tied the game up. 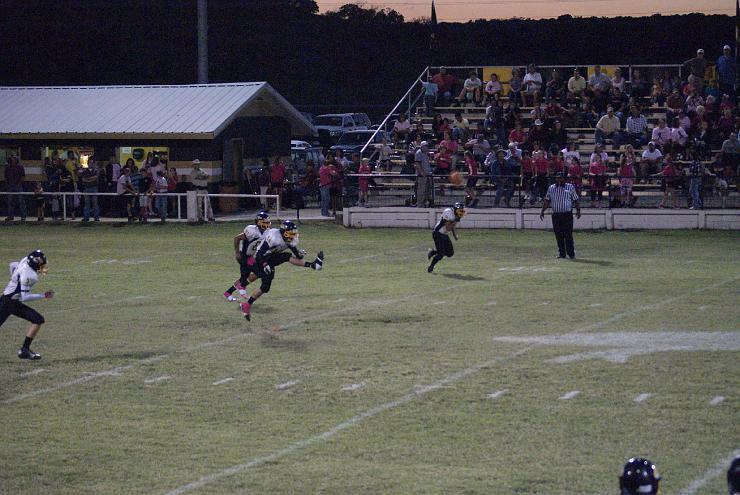 Rochelle still had time with the ball, but the Mountaineer Defense was able to hold them. The JV will travel to Zephyr to take on the Bulldogs this Thursday. Game will start 10 minutes after the Jr. High Game. 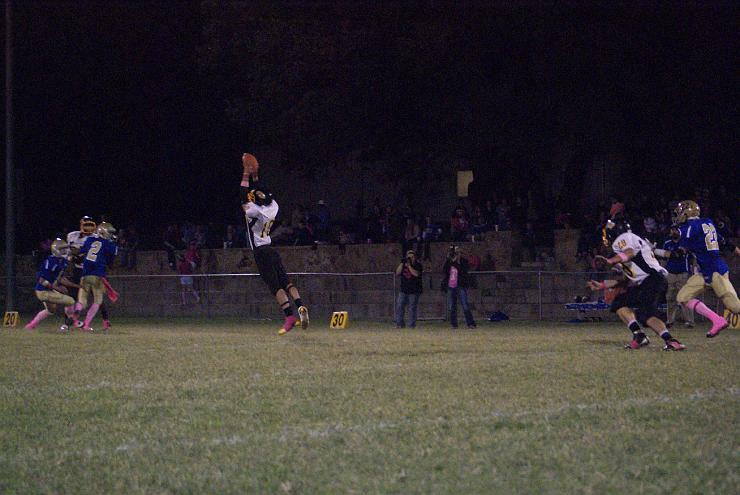 Rochelle handed Santa Anna their first loss of the season. 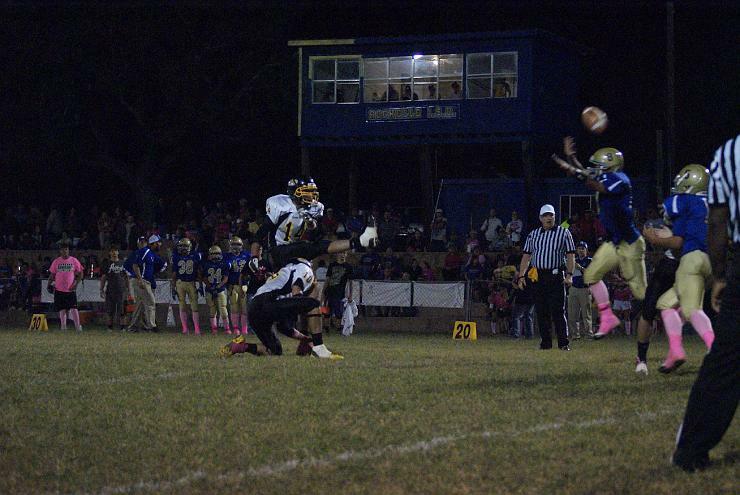 The game was plagued with turnovers and missed assignments on defense. 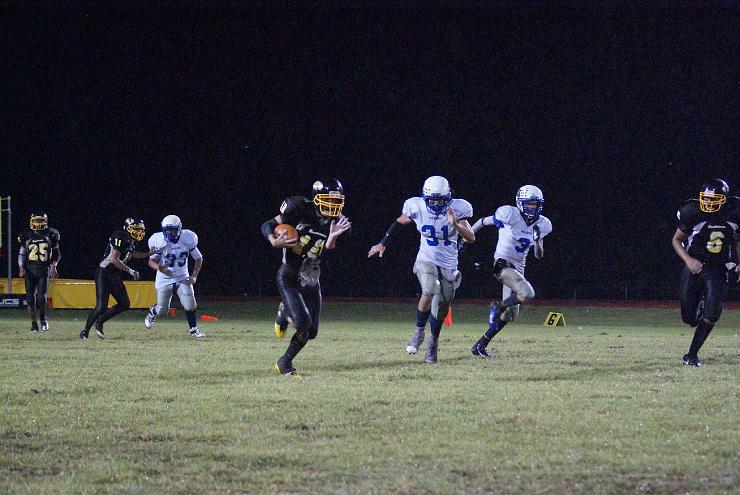 The Mountaineers were able to come back right before half time to gain the lead against the Hornets, but in the 2nd Half mistakes cost the Mountaineers the game. "There could be tons of excuses that we could make, but we just got beat. There is no need for excuses. 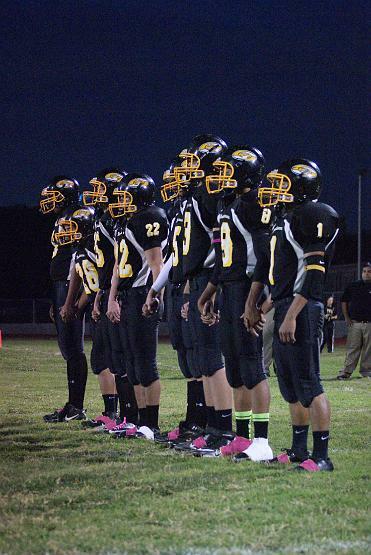 We just have to get back to work, and see where the chips fall as far as the play-offs go," stated Coach Garcia. The Mountaineers will now host Zypher Friday night at 7:30pm. 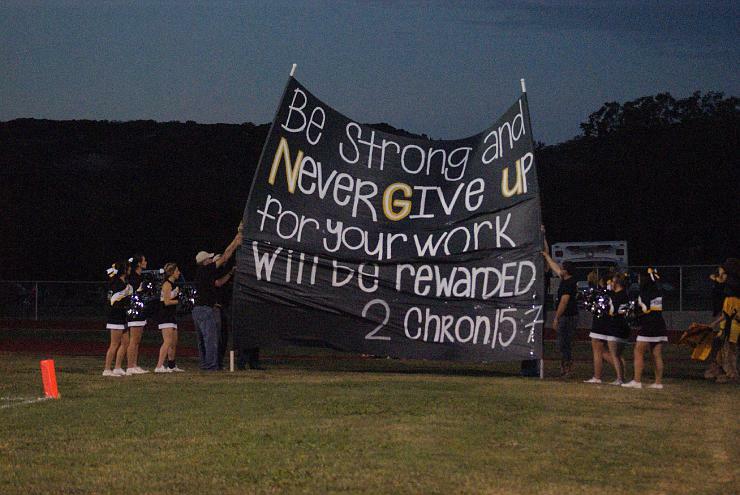 This is also senior night for the football team and cheerleaders. Parents/Guardians need to be on the field by 6:15pm. The ceremony will take place at 6:30pm. 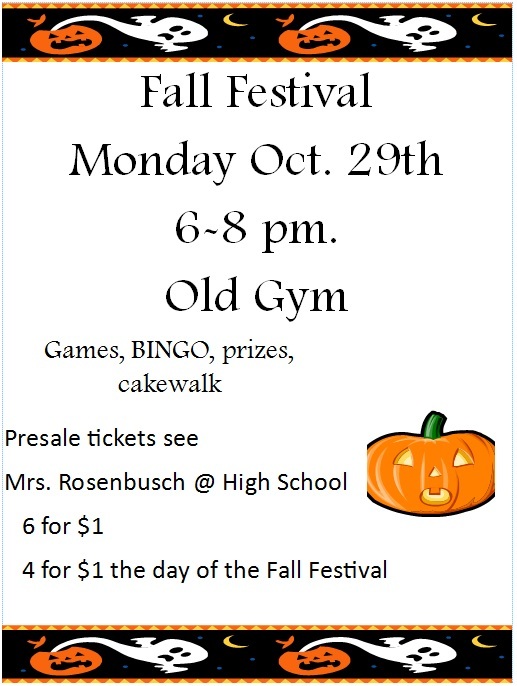 Santa Anna Student Council will be hosting a Fall Festival on Monday October 29th from 6-8pm in the Old Gym at the High School campus. We will have Bingo, carnival games, face painting, cake walk, and many other activities. We welcome everyone to come out and have an old-fashioned good time with your family. 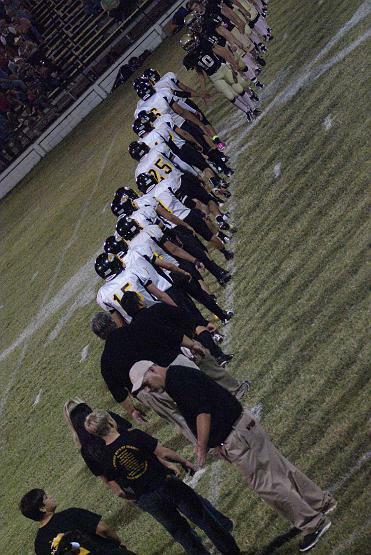 The 7-0 Santa Anna Mountaineers will take on the 5-1 Rochelle Hornets Friday October 19th at Rochelle for week two in District in Six Man Division 1 Football. The Mountaineers are ranked 18th in Division 1 (29th overall) and the Hornets are ranked 26th (43rd overall) in Division 1. The Mountaineers are favored by 22 points over the Hornets. 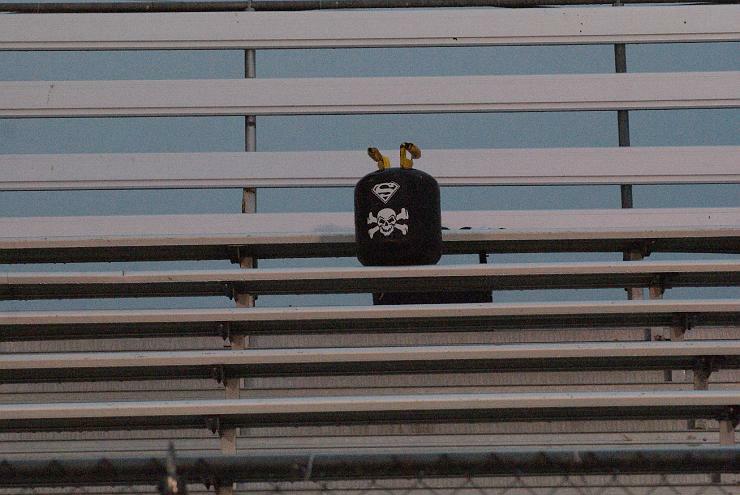 It should be a good game so pack your lawn chair and head South to Rochelle. Wear your Black and Gold with pink! 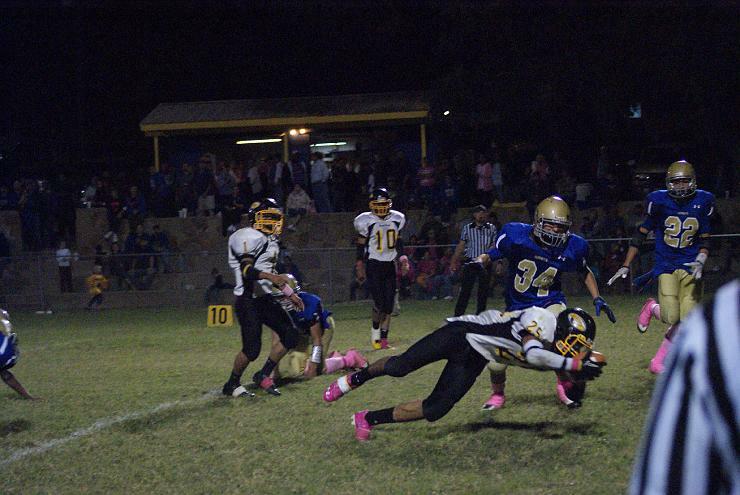 The Santa Anna Mountaineers defeated the May Tigers last week by a score of 60-38. See the Sports page for the rest! 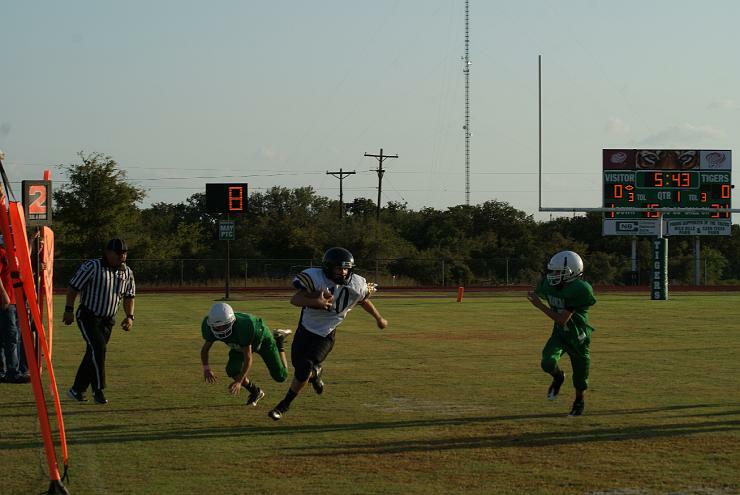 The Jr. High football team brought home another win, and remains unbeaten. 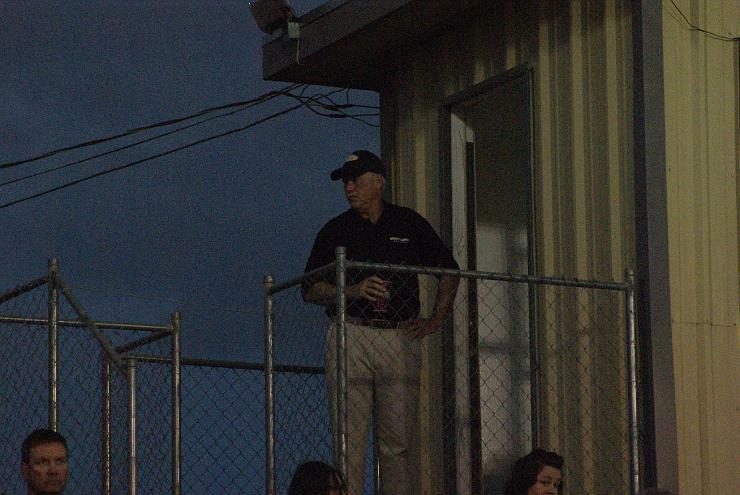 This past Thursday the Mountaineers traveled to May for their first district game on the season. After a shaky start, the Mountaineers settled down and took control of the game. 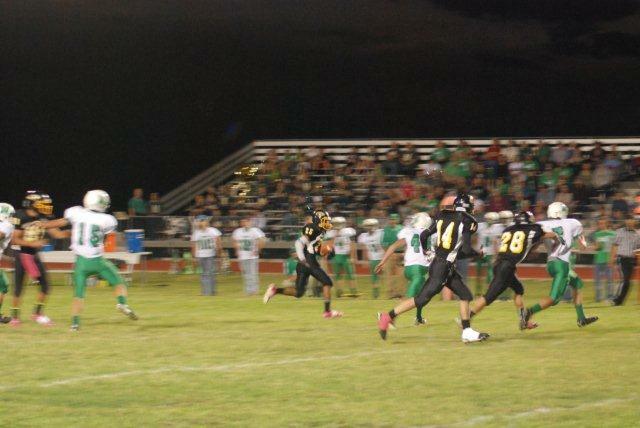 Rushing was lead by Jacob Herrod scoring multiple times for the offense. 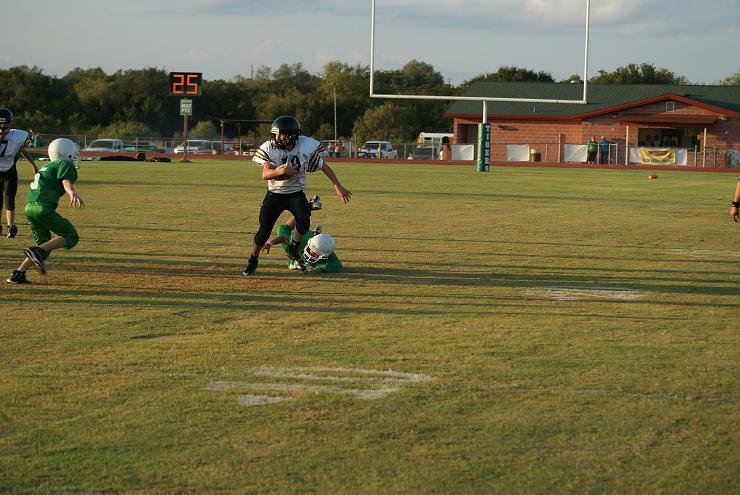 Defensively, the Mountaineers were helped with new comer Blain Beale. 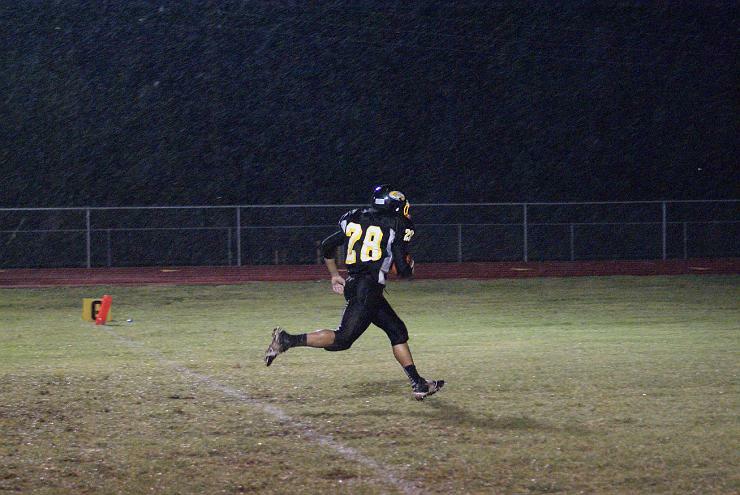 All Mountaineers put in a great effort and brought home the first district win of 2012. 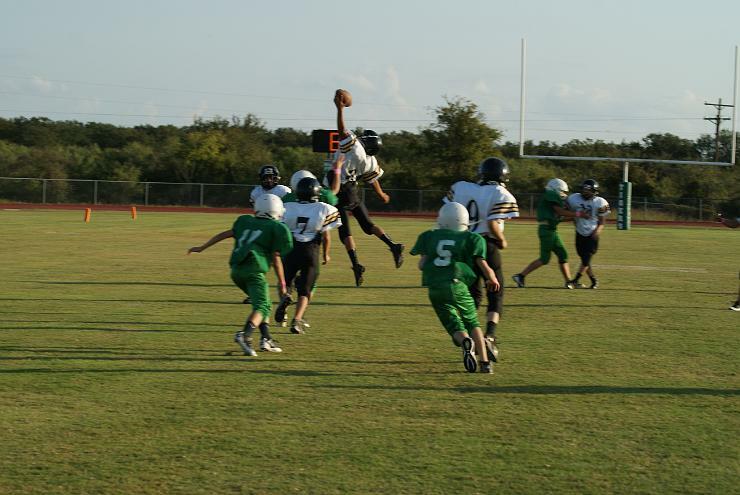 This week the Jr. High hosts Rochelle. Game time is set for 6:00pm. Due to injuries, the JV team did not play this past week. 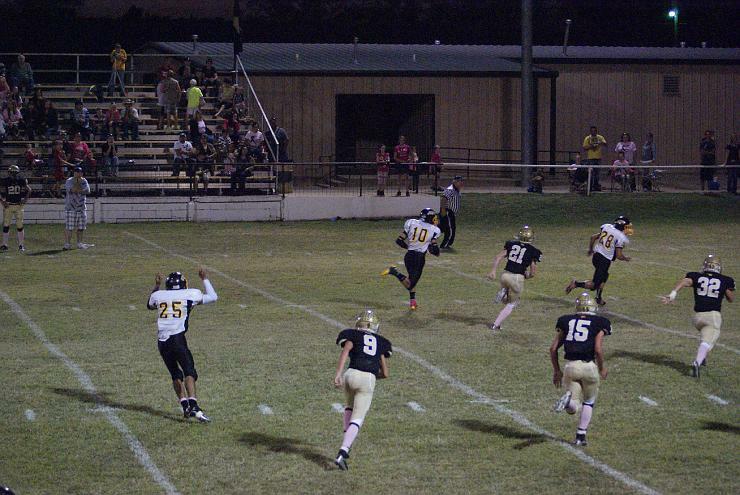 Brownwood called it an "epic showdown." 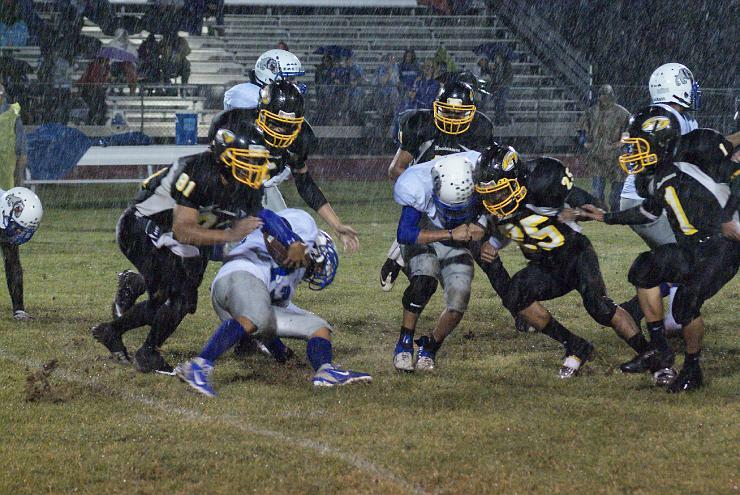 Abilene Reporter said it was, "a battle of great teams." San Angelo called it, "something to see." When it came down to it, Santa Anna proved that hard work, dedication, and never giving up, goes a long way. Santa Anna defeated May in a hard fought battle. The final score was 60-38. The Mountaineers played a great 3 quarters, but did get a little sloppy in the 4th. 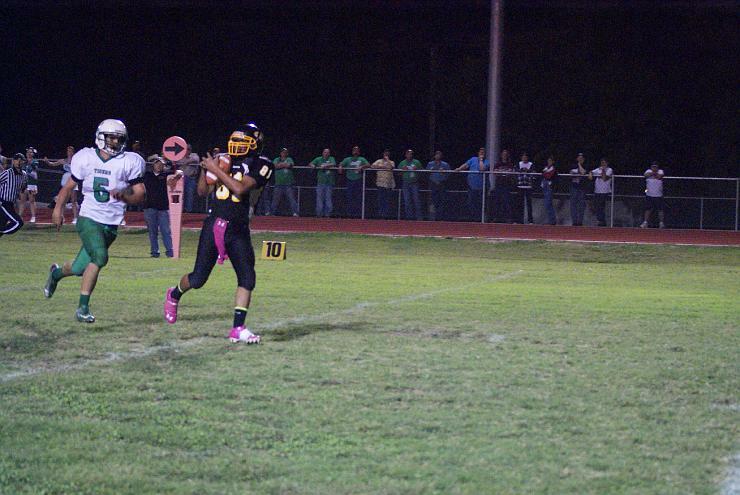 The Mountaineers did hold on to the win to remain undefeated and 1-0 in district play. "We came out and did what we planned on doing since the get go. Our offense was moving the ball, the defense was sound, and our special teams made great stops. The boys were confident and knew we could play a good football game if we just stuck to what we needed to do, and we did," stated Coach Garcia. 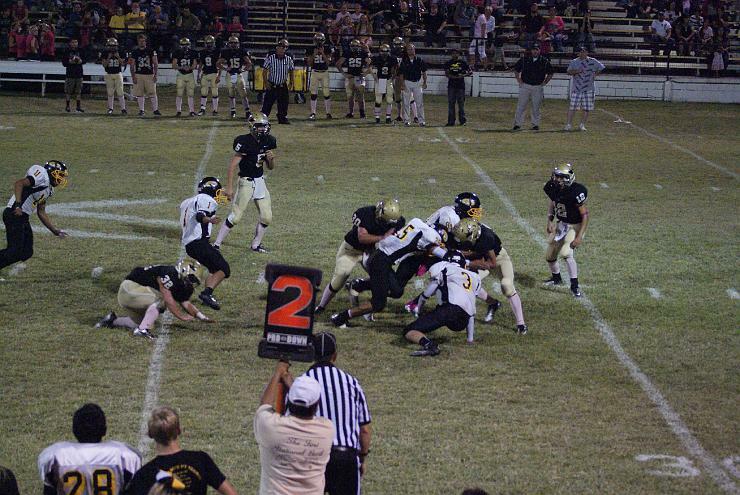 Santa Anna now travels to Rochelle this Friday in what should be another good game. 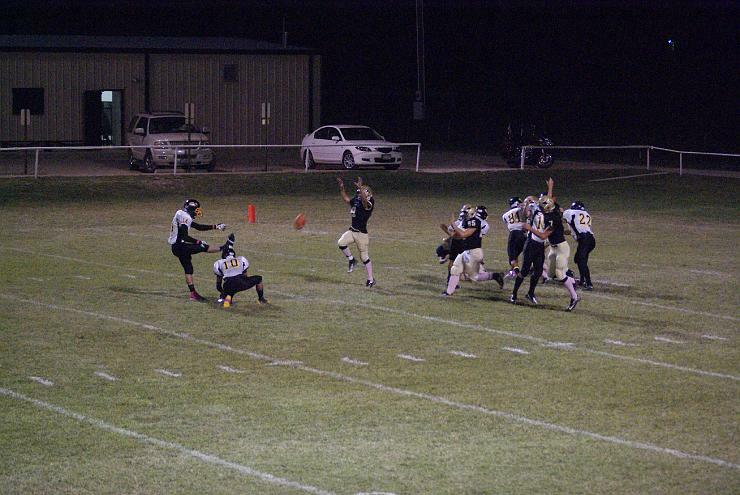 Rochelle is 6-1 and went to the play-offs last year. Rochelle is coming off a win against rival Lometa. Game time is set for 7:30. 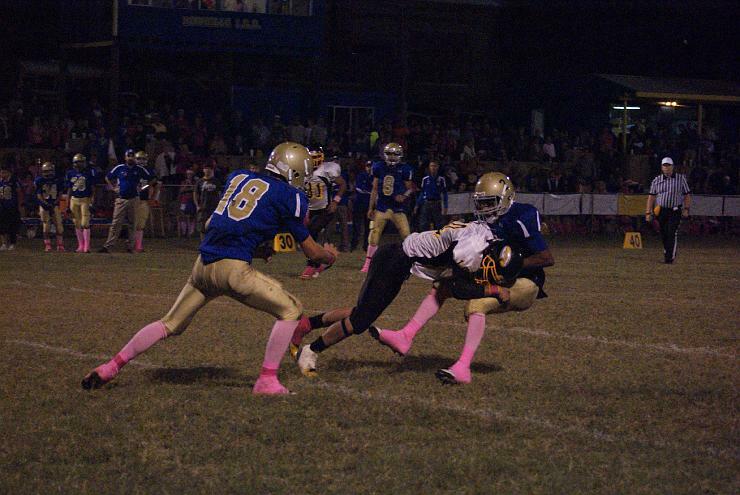 This week's game is a "pink out" game for both schools. 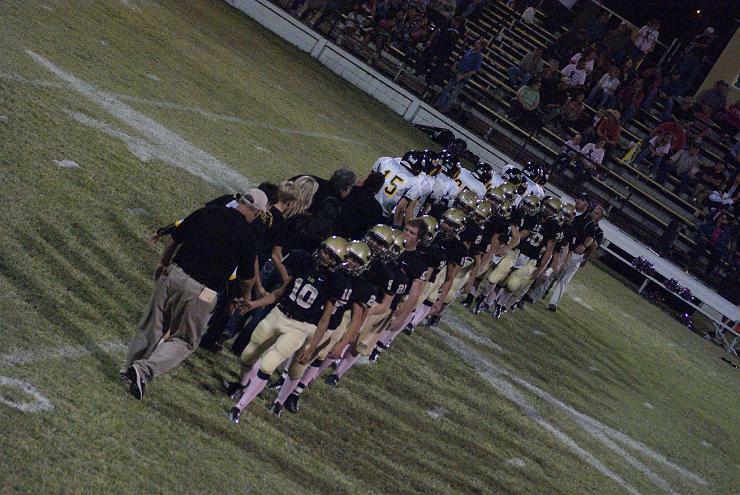 So come out, be loud, and wear your Black & Gold, but lets mix in some Pink to show our Fight for the Cure. 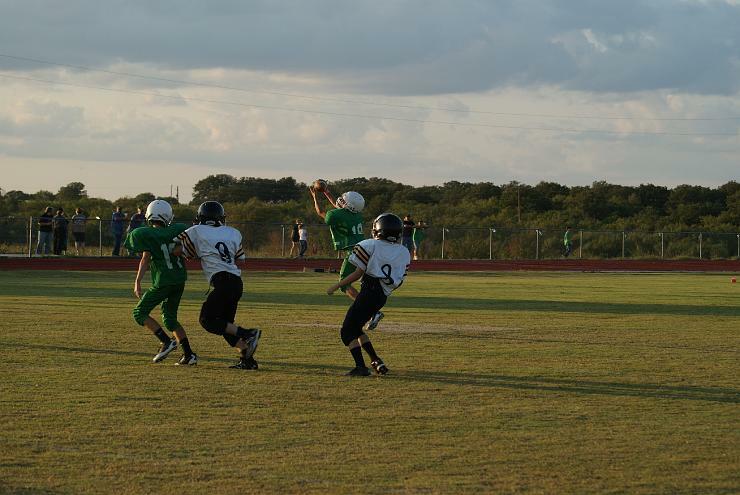 The Santa Anna Junior High Mountaineers win 31-12 over the May Tigers on Thursday. 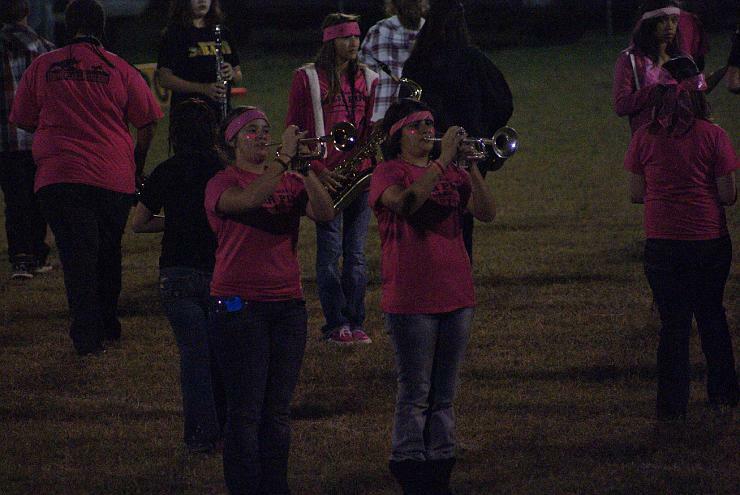 These students were somehow left off the Santa Anna High School AB honor roll list. 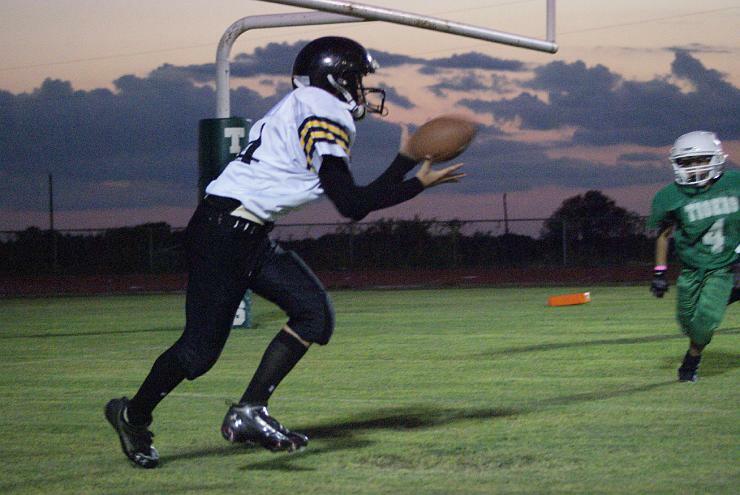 The 6-0 Santa Anna Mountaineers will take on the 5-1 May Tigers Friday October 12th at Santa Anna for their first District match up in Six Man Division 1 Football. The Mountaineers are ranked 21st in Division 1 (33rd overall) and the Tigers are ranked 20th (32nd overall) in Division 1. The Tigers are favored by 1 points over the Mountaineers. 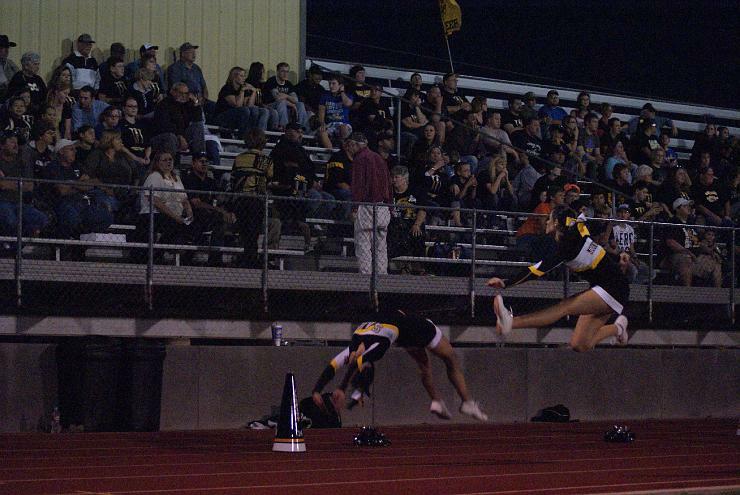 Get your Black and Gold and head over to Mountaineer Stadium for kickoff at 7:30! I finally caught up on homework after a long Homecoming weekend! Congratulations to the students that made “A” or “AB” Honor Roll the first six weeks at Santa Anna Junior High! The following students made “A” Honor Roll in grades 9-12 at Santa Anna High School for the first six weeks. 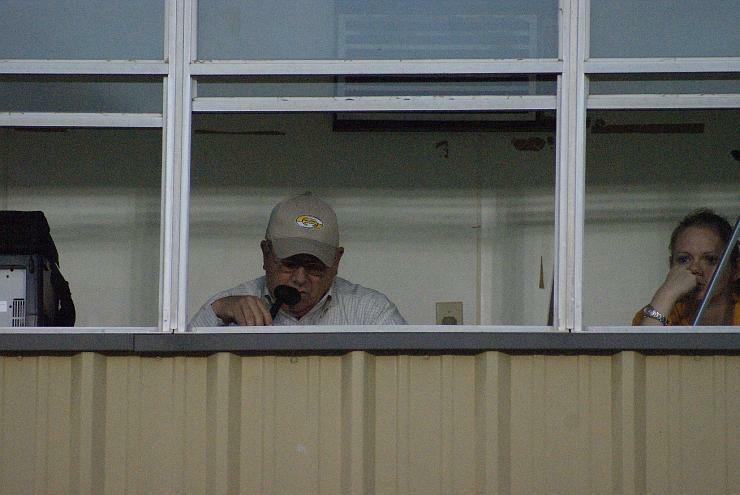 Contributed by Tex Wright, sometimes roaming reporter! I received an email on Wednesday morning, early, from James Pelton of Santa Anna News .com. Would I please keep an eye out for 3 bicyclists traveling through Santa Anna? Work has a way of getting in the way of things and since I have to go out of town in my work, I went. I drove back into town about 1:45PM and what to my wandering eyes should appear, but the three bicyclists that James had ask me to look out for. I drove out to where they were and parked and talked. 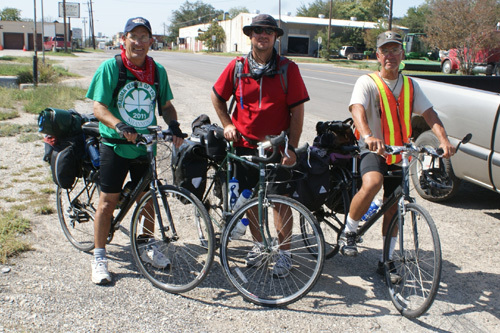 Roy Aguero, a 50+ U.S Army retiree, is once again crossing the state of Texas on bicycle. This time he started on the New Mexico line, going over the Guadalupe range, then east on back roads, and through small towns. He plans to end this journey at the Louisiana border near the town of Burr Ferry, La. on Texas hwy 63. His previous trip across Texas started at the southern most point of Texas south of Brownsville, came up through Santa Anna and ended up on the Oklahoma border near Perryton in the Texas panhandle. He and his traveling Companions have been camping and sleeping near the fence rows along the road. They stopped at a small café to eat their lunch. An old gentleman, Charlie, spoke to them asking what they were doing and where they were going. They talked with him and he told them he rode a bike in his younger years and as he started to leave he left them $20.00. After trying not to take the money, they gave up when he said to “take it and pass it on”. While coming through the Guadalupe’s, the bikers where caught by the recent cold front that cooled off that part of Texas and being high in the mountains, it got cold. The stopped in a small community and ask the Parson if they could sleep beside the church to knock off the wind. The Parson said yes and that he would unlock the building so that they would have bathroom facilities. They slept along side the building using the bathroom inside. When they left, Charlie’s $20.00 stayed behind. On Tuesday night, they camped in Benoit, Texas, a ghost town on U.S. 67 in eastern Runnels County. When I talked to them here in Santa Anna, their plans were to stay in Brownwood tonight, then east thru Goldthwaite and Gatesville. Roy was accompanied by two of his nephews, Robert Balli and Robert Perez. Balli told me after Aguero had ridden off, “He’s my Uncle, My friend, and my Mentor. A good friend who is willing to ride a bicycle 922 miles just to keep his friend and mentor company is a good friend indeed. Perez jokingly commented, “I’m just along for the ride”, If you happen to see them in your travels, tell them we will try to see them again when they come through Santa Anna, Texas. The Santa Anna Moutaineers and Coaching Staff extend a special invitation to EVERYONE for Friday's Pep Rally and Game on Friday. 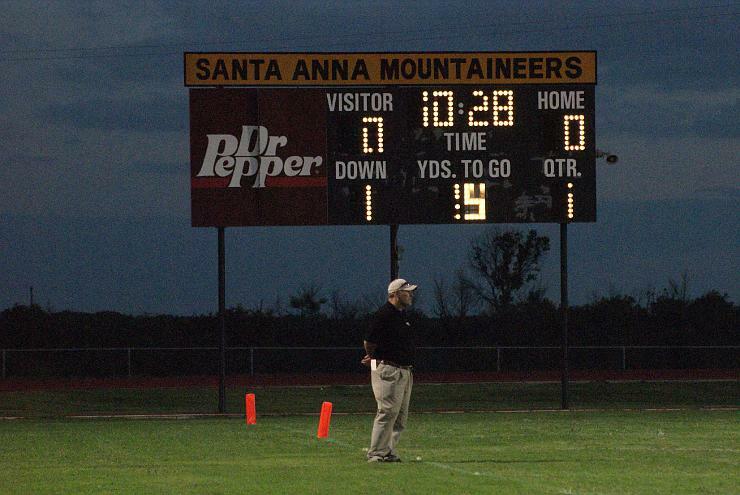 The Santa Anna Mountaineers will be taking on the May Tigers in the first district game of 2012. 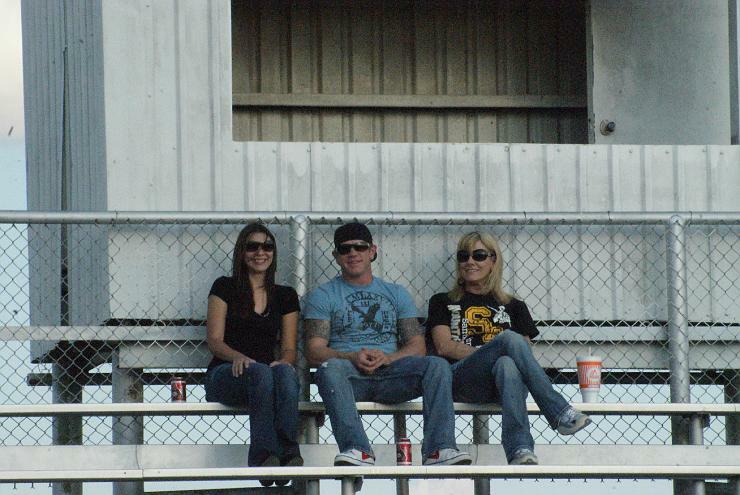 Fill the stands. Be loud. Be Proud. This is not an athletic thing. Its not a high school thing. 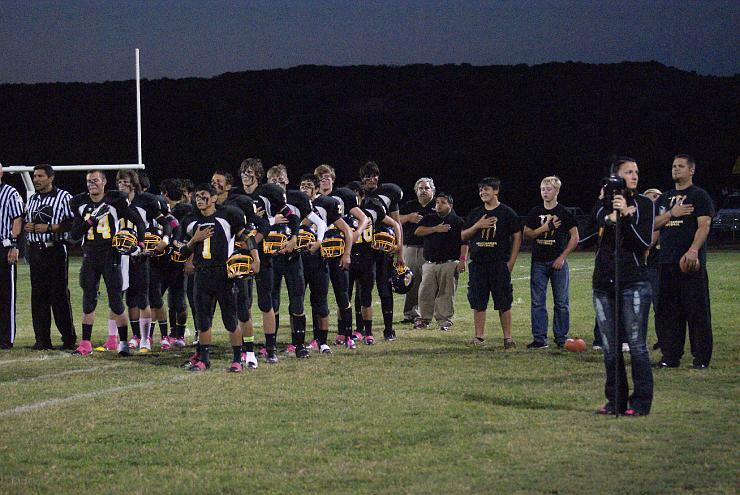 This is about the town coming together and showing the Big Country how we do things in Santa Anna. Kick off is set for 7:30pm. You have three cyclist coming through Santa Anna sometime today (late morning/onward) from the direction of Ballinger TX. They started their journey last week in Anthony TX and are headed toward the Louisiana border. For one of the cyclist San Angelo native Roy Aguero (ret.army), it will be his second time coming through the crossroad of Santa Anna TX. He biked earlier this year from Brownsville TX to the Oklahoma border which on this journey he rode the entire trip alone. However this time he is joined by two nephews and a niece at various points of his trip. Thought this crossroad story within your community might have a point of interest for your readers. 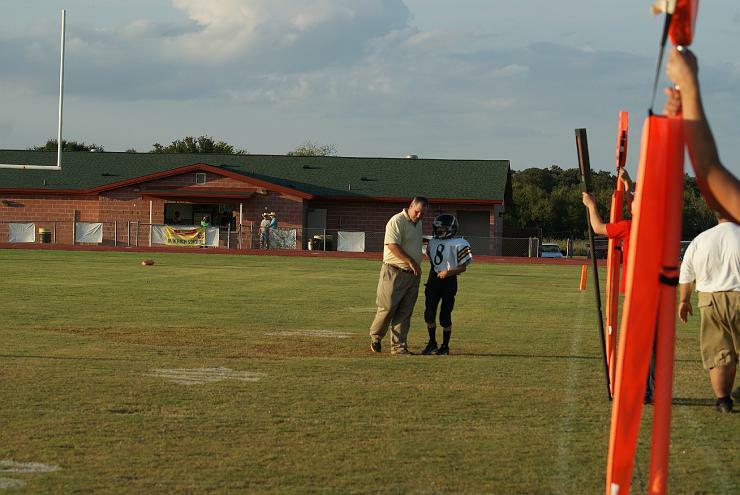 The Jr. High Mountaineers took the field undefeated and left the field undefeated. The Mountaineers started off a little shaky, but the coaches calmed the kids down and the boys scored several times to get the victory of Evant’s Jr High team. 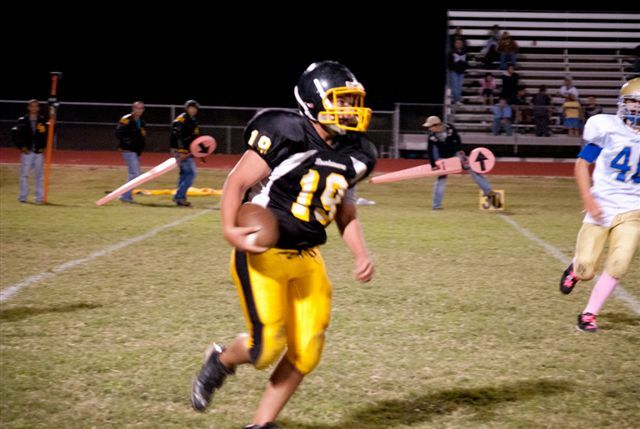 This week the Jr. High Mountaineers will welcome two new athletes onto the field as they take on May in May. Game is scheduled for 6pm. The practice is over. The season now starts. The Mountaineers traveled to Evant, and took care of business quickly. It was a total team effort this go around. Defense scored, Offense scored, Special Teams recovered fumbles, and Special Teams scored extra points. 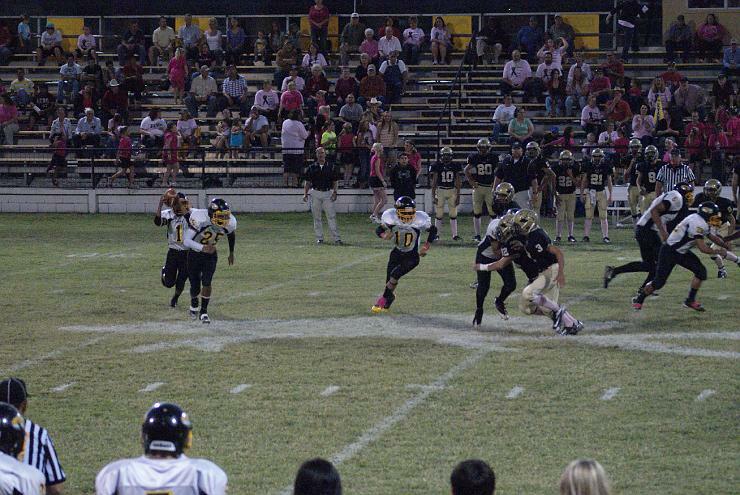 The final score was 54-0. Game was over at halftime. District now starts and everyone is 0-0 as far as record goes. The Mountaineers will host long time rival, May Tigers. The Mountaineers are ready and excited. “We have been talking about this for a while now. 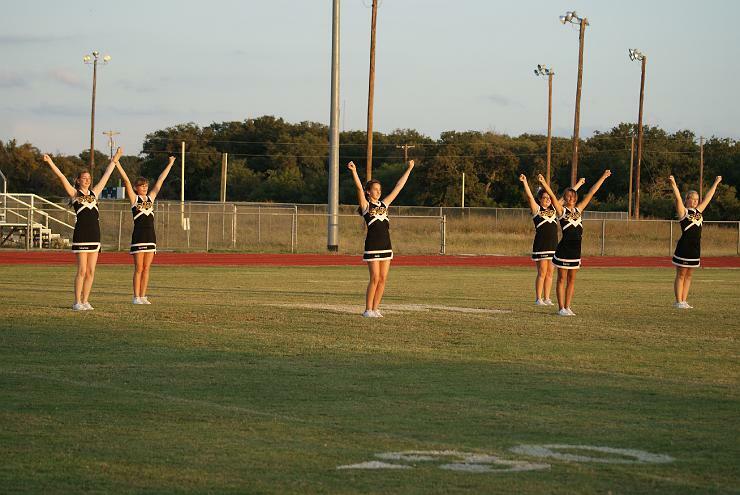 We’ve been doing all that we can do to prepare for district and we are finally here. I think we have a great chance if we come out and play with the intensity that we have been playing with all year,” stated Coach Garcia. The game is scheduled to start at 7:30pm at Mountaineer Stadium. Get here early and get ready. 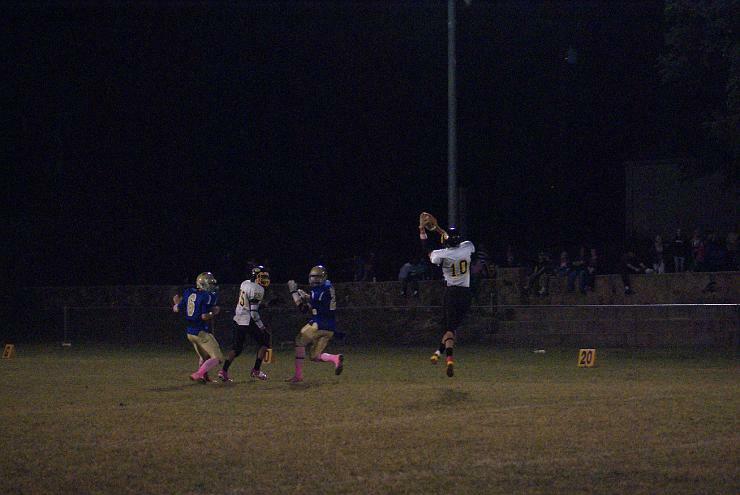 The 5-0 Santa Anna Mountaineers will take on the 5-0 Evant Elks Friday October 5th at Evant for a match up of two of the seven undefeated teams left in Six Man Division 1 Football. The Mountaineers are still ranked 22nd in Division 1 (down two to 36th overall) and the Elks are ranked 48th in Division 1, just ahead of Eden and 112th overall just below Panther Creek. The Mountaineers are favored by 45 points over the Elks. 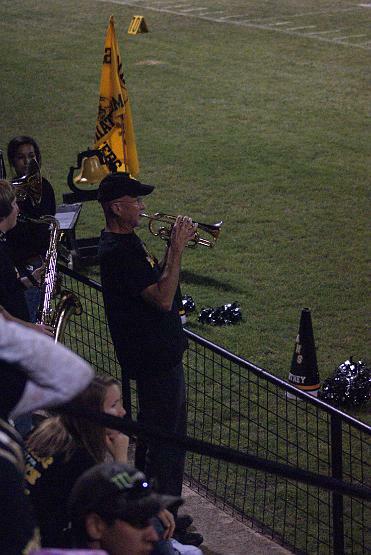 Get your Black and Gold on, fill up with gas, and head on over to Evant! Homecoming King and Queen Marcus Valencia and Carlee Coats. 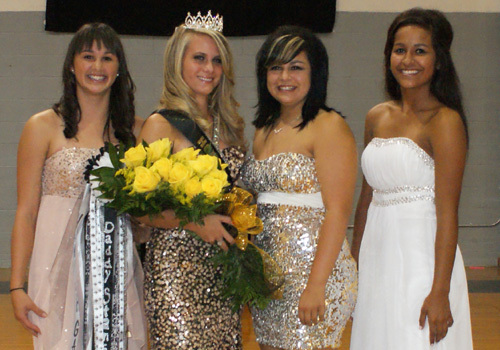 Santa Anna Students voted during the week of Homecoming Festivities. 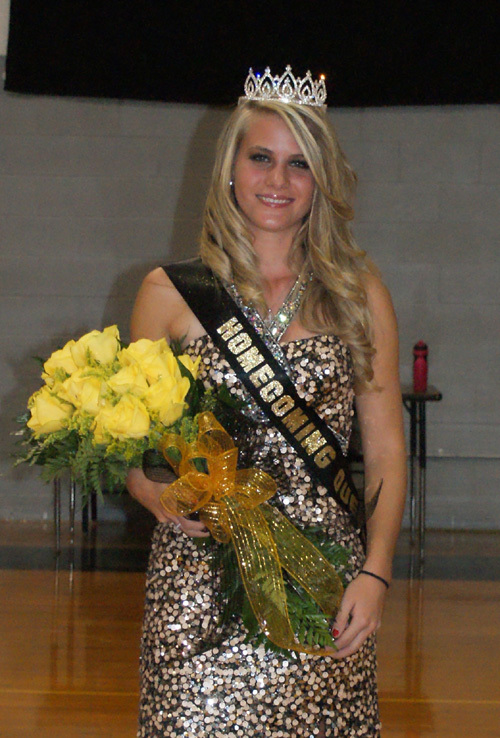 Marcus Valencia was chosen as Homecoming King and Carlee Coats was selected as Homecoming Queen. 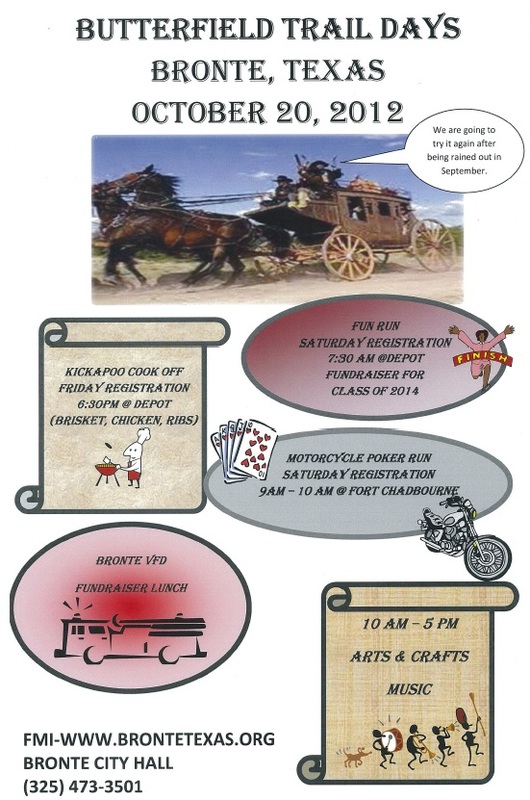 After being rained out in September we are going to try again to hold Butterfield Trail Days. 4 inches of rain was not enough to stop the Mountaineers this past week. 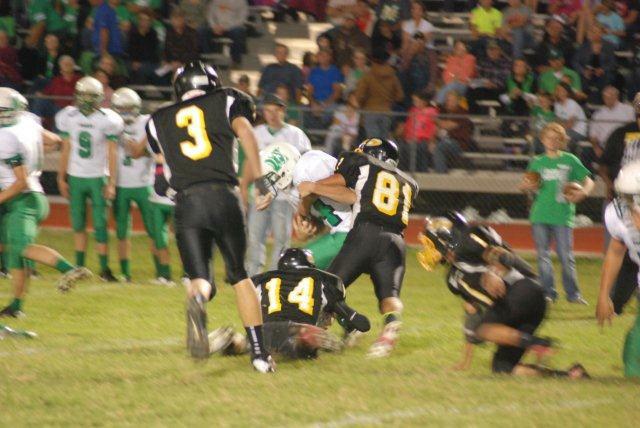 For homecoming weekend, the Mountaineers welcomed the exes back to town with a victory over Eden. 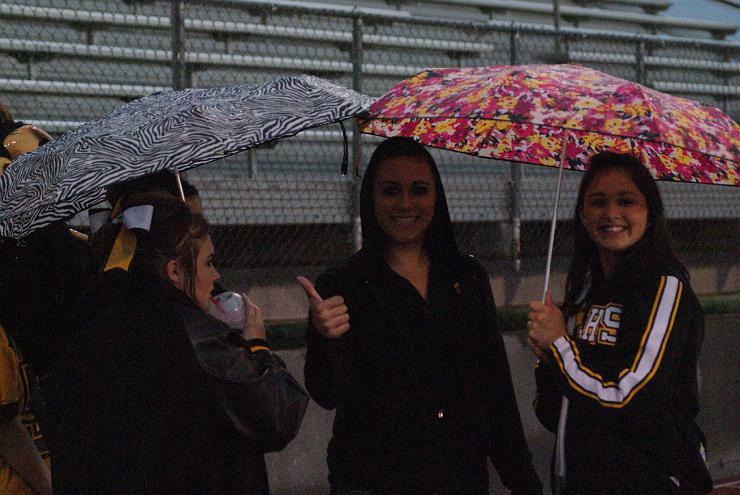 The rain continued to fall as each minute passed by, but the points started to rack up for the home team. 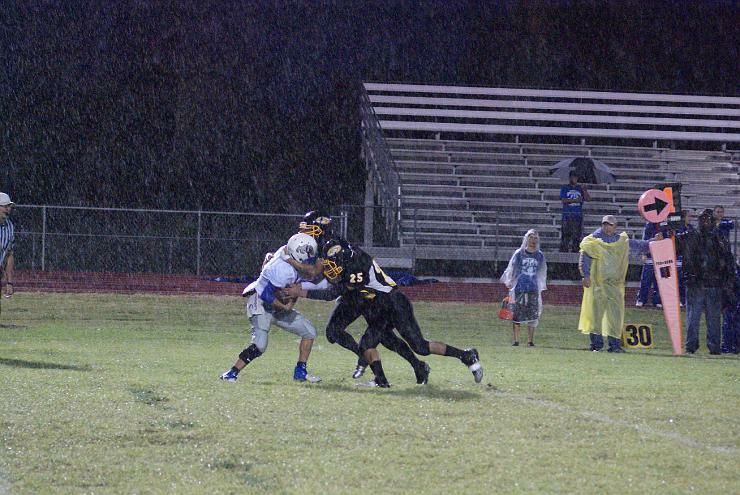 Santa Anna was able to both run and pass the ball even with the miserable conditions. 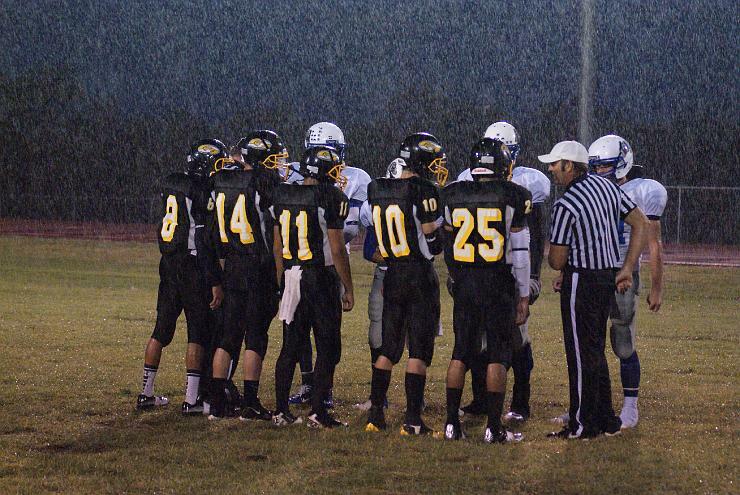 “Most teams would not dream of throwing the ball in the conditions we played in, but we are not most teams. 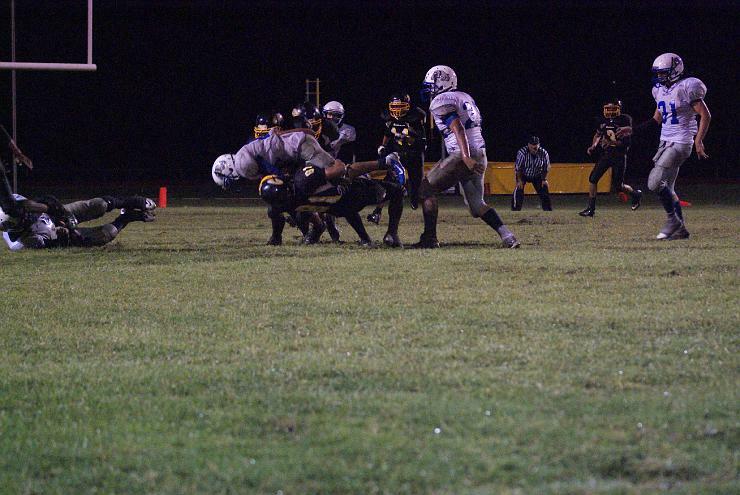 We scored three times through the air,” stated Coach Garcia. “We did everything we could to keep the balls dry. At the end of the night we went through two dozen towels, but it was all worth it. 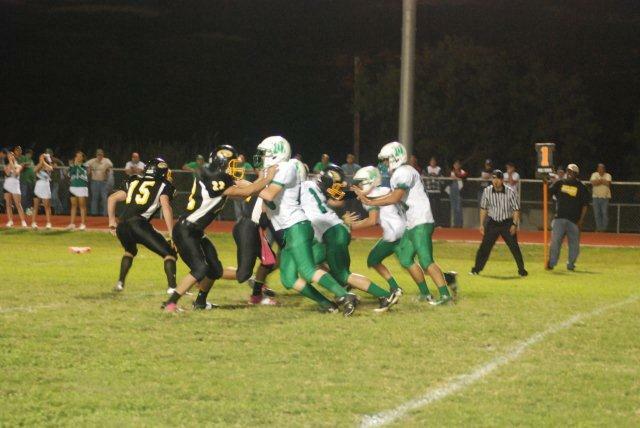 The offense, called by Coach Norris, continued to look good with the rushing of Michael Valencia and Lucas Diaz. 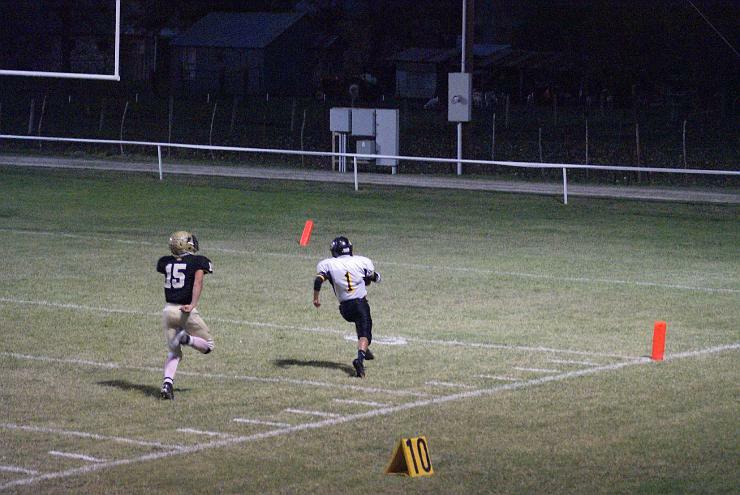 Talon King also scampered for a 60yd reception from Valencia. 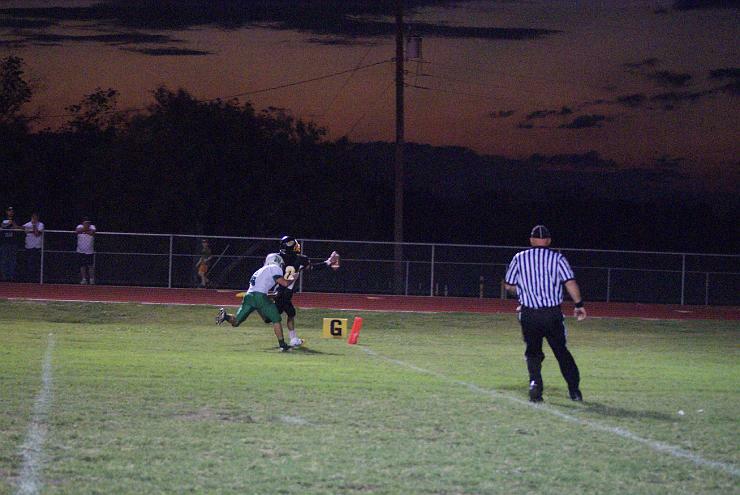 Zack Diaz also caught two passes for touchdowns from Valencia. 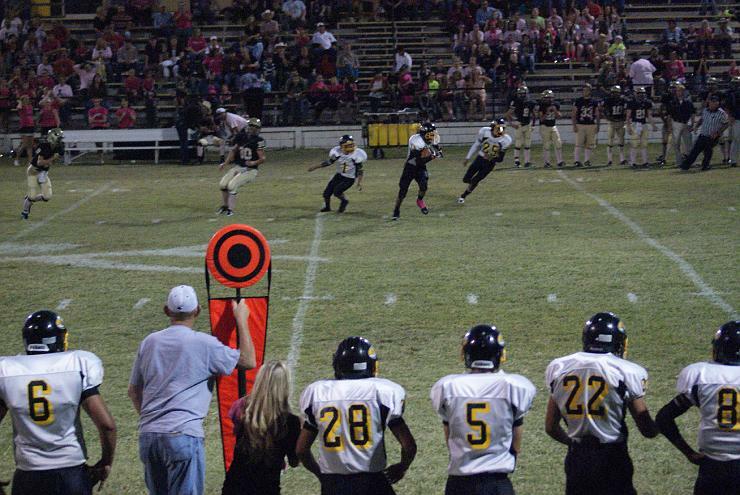 Coach Adams and his defense kept the stingy play going this week by only allowing 14 points. Both touchdowns came on big plays by Eden due to missed assignments. 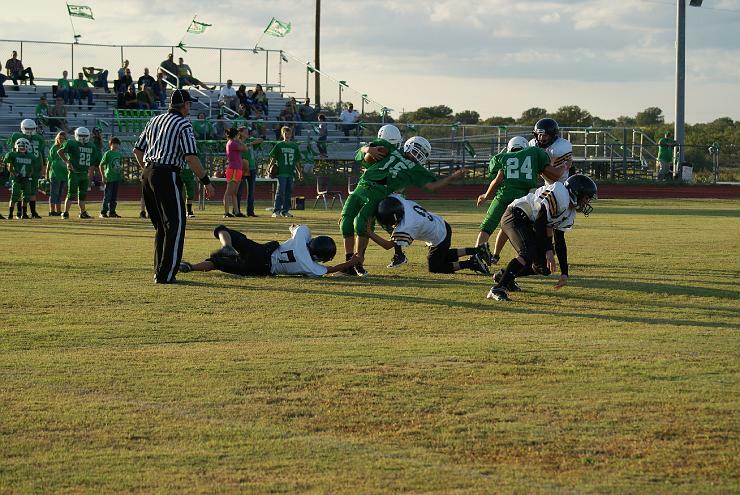 The defense was lead by Josh Perez who had 12 solo tackles in which two were sacks. Valencia and Colby Nelson also racked up 15 tackles total. 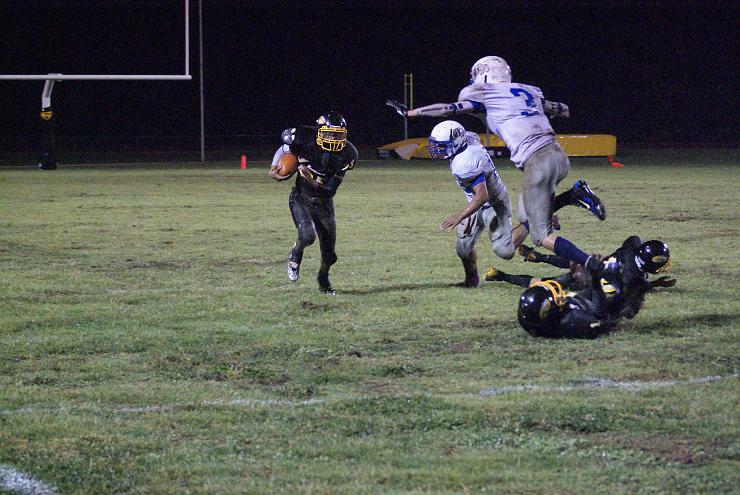 The Mountaineers travel to Evant this coming Friday in a battle of undefeated teams. 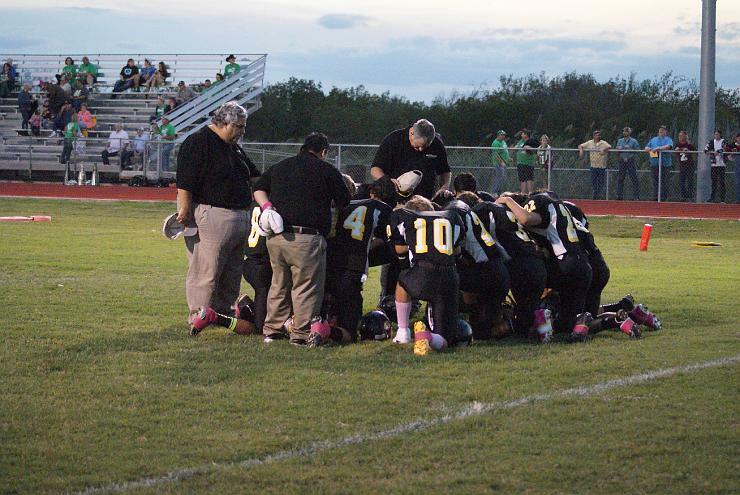 “We have watched film already on Evant and they are undefeated. It should be a good game. We will get to work on Monday. We don't know how the practice field looks, but we will get to work no matter what,” answered Coach Norris when asked about Evant. Game time is scheduled for 7:30pm. 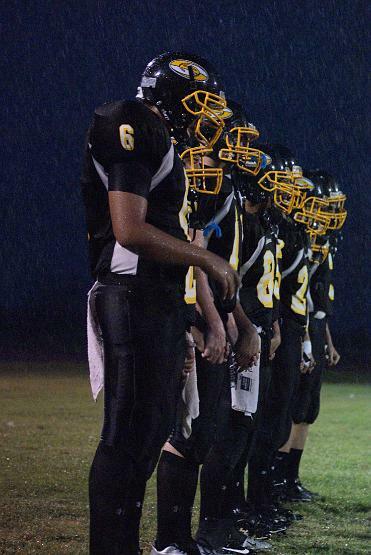 Come out and support the Mountaineers as they will be fighting to remain the only team in the area to be undefeated. The junior varsity team remained undefeated as they defeated Rochelle this past Thursday. It was a close game through the first half, but Rochelle woke a sleeping giant. 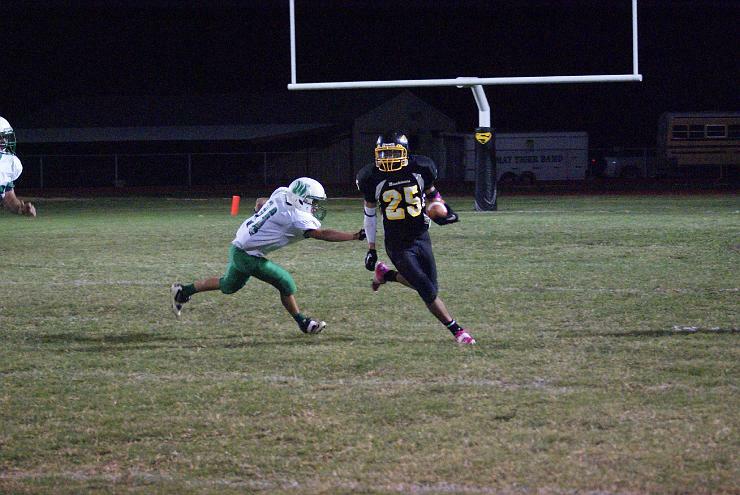 In the 2nd half the Mountaineers scored and scored often and did not allow any 2nd half points by Rochelle. 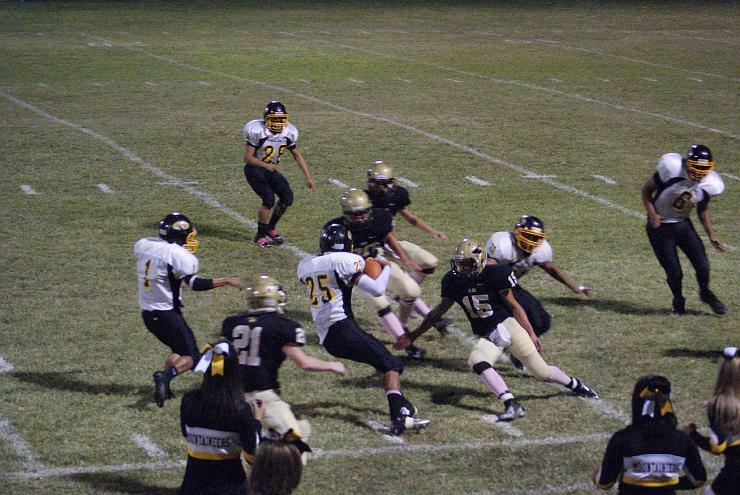 Offensively, Coach Garcia continued to use a two quarterback rotation and a four back rotation. 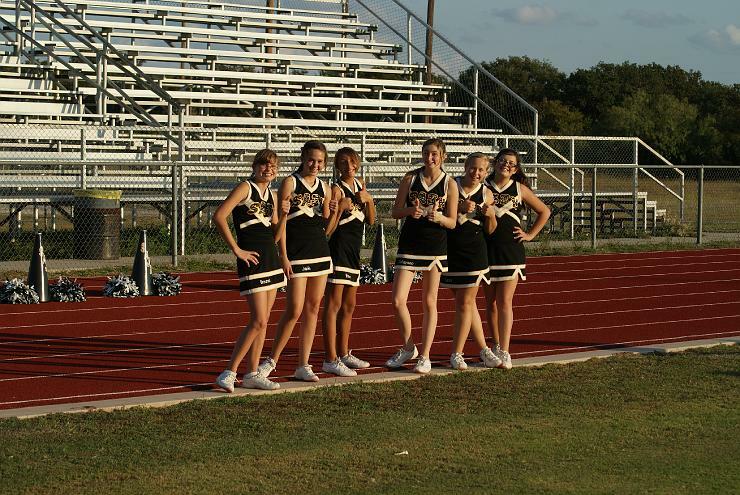 Along with this, the JV team showed up on the field with wrist coaches. The Mountaineers ran a no huddle style offense and it worked for them. 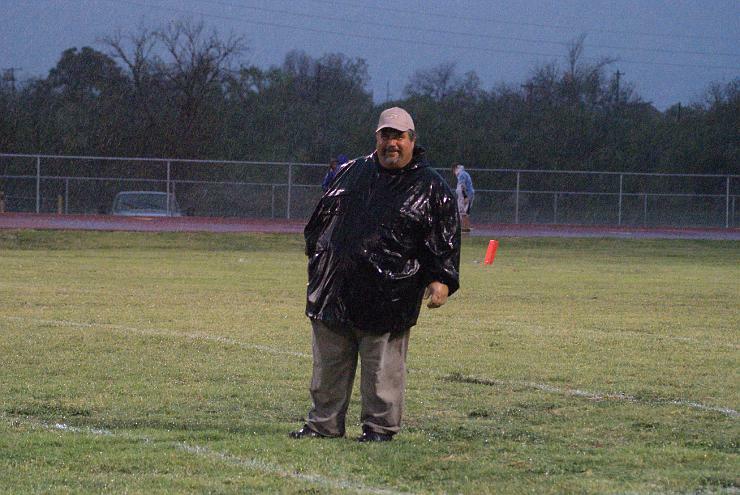 Coach Adams arrived in the second half from a rained out Jr. High game and made defensive adjustments to help secure the win. 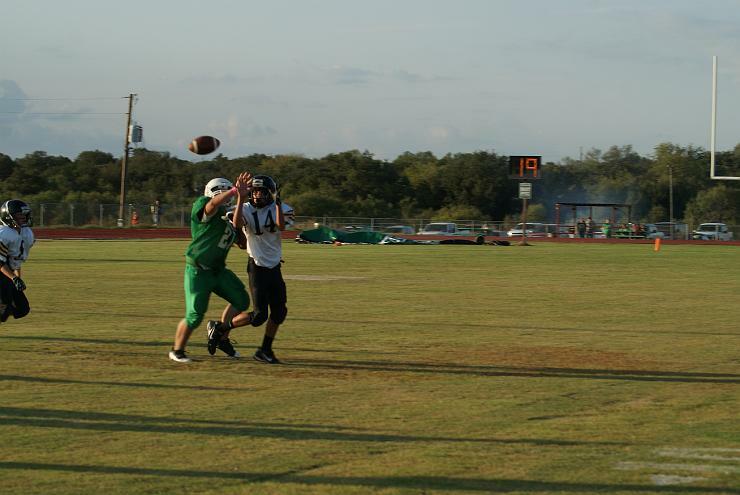 This week the JV team will play May at home. The game will begin promptly after the Jr. High Game. 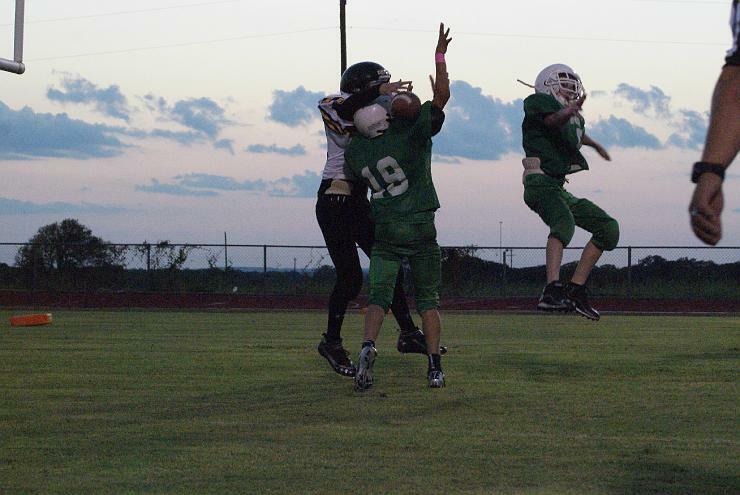 The Jr. High will play home this week against Evant. 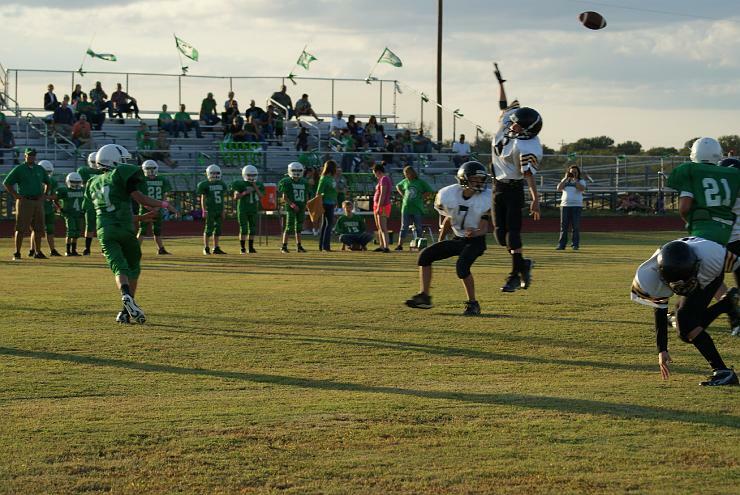 The Mountaineer Jr. High team looks to remain undefeated. It is stock show season again and the Santa Anna Livestock Association is gearing up for the season. It is once again time for the SA Livestock Association Annual Donation Drive. We are asking for your donations for the upcoming stock shows in January. Plans are already underway in organizing the local stock show as well as the county stock show. Last year, with the help of your donations, we were able to purchase 16 animal projects at the county show & sale. Our goal this year is to provide the same assistance to these youth as last year. 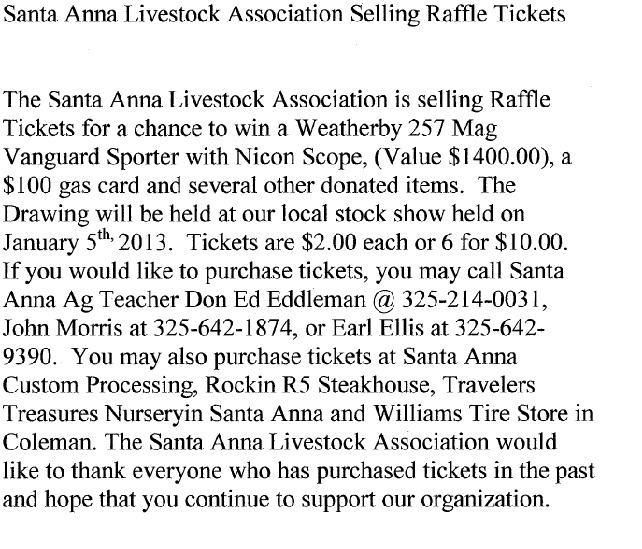 The Santa Anna Livestock Association is a local non profit organization that has been in existence the last 50 years. The Livestock Association’s goal is to help benefit our local youth at both the local livestock show as well as our county livestock show. The Livestock Association finances are based strictly on donations from our local community and donations outside of our area. Donations are used primarily to purchase livestock exhibits at the County Livestock Show & Sale. Livestock exhibits at the sale average $300-$600 per animal. Donations are also used for maintenance on our local show bard and to fund our local livestock show. With the few volunteers that the SA Livestock Assoc has, they have managed to keep this organization going. This organization plays a vital role in building our youth for a better tomorrow. The SA Livestock Assoc. is asking the community to pull together to keep a vital part of our community going. Through your donations, we can make this happen. If you would like your donation to remain anonymous, please let us know. We, as an organization, believe in giving you, the donor, recognition for keeping this organization going. We would like to thank all who have donated in the past years and hope that this fundraiser will bring more of you into becoming a vital part of this organization and continue to help build the youth of our community. Your donation is tax deductible only if you show it as a sponsorship or advertising expense. Flu Shots are now available at the Family Health Clinic in Santa Anna. They are available during clinic hours, Mon-Thurs, 8:30-5. Note that we also have the childrens flu shots and nasal flu mist. Call 325 348 3566 if you have any questions.